TAG Heuer is a brand that I associate with lost potential and disappointment. The brand most consumers are familiar with today is far flung from the heritage and history of the Heuer of the 1960's. Most consumers now will be familiar with the TAG Heuer of the early 90's and 2000s', an affordable Swiss entry level watch whilst being completely unaware that Heuer used to be a powerhouse manufacture of iconic chronographs like the Monaco or the Carrera with a rich and exciting history. Like most classic chronographs, the Carrera's simplicity is what makes it a timeless design. The all silver dial adds a certain amount of style and flair to the piece over the more functional and utilitarian design of an Omega Speedmaster, this was never designed to be a tool watch but something to be worn by Playboys and driving fanatics between their driving gloves and leather jacket. I believe that the downfall of TAG Heuer came when they became TAG Heuer in 1985 after the family manufactuer Heuer was bought out by the TAG Group. Now Heuer wasn't in the greatest of shape at the time but over the years the quality of the watches produced are something that has not aged gracefully. No-one came out of the quartz crisis unscathed but there is something particularly rather gaudy about the models TAG Heuer produced then to my eyes ; maybe this is just simply style changing over time, who knows? The now "delayed" TAG Heuer Carrera CH80 taken at Baselworld 2014. Photo courtesy of TAG Heuer. At the beginning of the year, TAG Heuer's strategy focused on increasing their lowest selling price to over £1000, aiming to capture a more discerning consumer by offering a new in-house chronograph movement (First named the 1888, then the 1969 and finally the CH80) and trying to move the brand's image away from a "entry level Swiss watch". Then Baselworld came and went with new designs for the Formula 1, Aquaracer and Carrera families and the main talking point was the new Carrera featuring the CH80 in-house chronograph. Whilst I didn't care for this watch I can definitely see why TAG Heuer wanted this produced, the simplistic panda dial colour scheme and red highlights harkening back to the glory days of Carrera whilst still maintaining a contemporary look around the watch for the average consumer. Then after months of delays, redesigns, more delays and a lot of silence from the brand, this watch (and the development CH80 movement) was quietly shelved. The press release images of the CH80, what would have been a fantastic movement if it have ever seen the light of day. Photo courtesy of TAG Heuer. The disappointment I feel about TAG Heuer is because it could be a truly great watch brand again (at the huge risk of alienating it's primary audience). The brand has a real passion for developing experimental watch movements (the belt driven Monaco, the mesmerizing Mikrotimer etc.) and it can produce some beautiful pieces but at the same time it makes some truly ghastly watches at an entry level price . It smacks of trying to have one's cake and eat it. Either decide to fully invest in an in-house manufactured movement, have experimental ranges pushing the boundaries of traditional watch making OR become "a brand" rather than a manufacture, make an affordable watch and maximise your exposure across a broad market. I think the latest redesign of the Aquaracer is a really fantastic watch for the money, a great beater watch that manages to look elegant yet robust and functional at the same time. 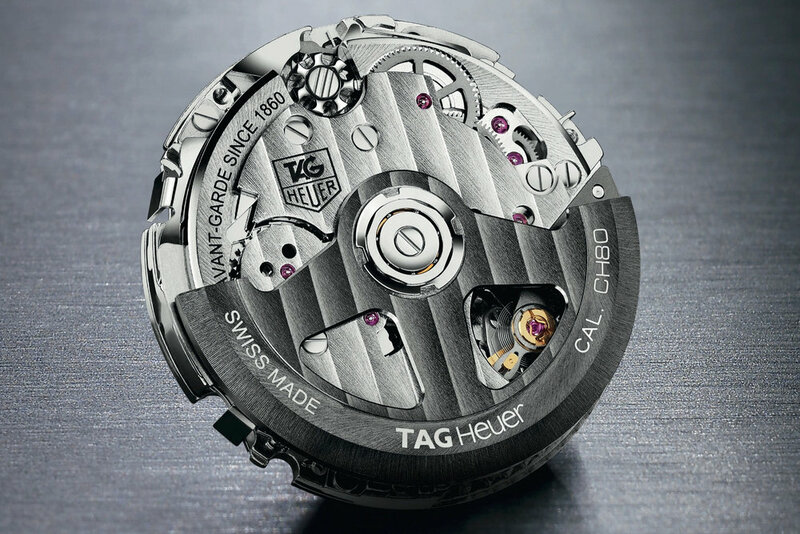 With the the new "Don't crack under pressure" marketing campaign and how the new roster of brand ambassadors is mainly sports professionals, I can imagine which way TAG Heuer is thinking of heading in the coming years but only time will tell.